One of the most important things when choosing your hair scissors is to feel comfortable in your hand, with minimum hand fatigue or chances to develop RSI or carpel tunnel syndrome. Different kinds of hair cutting jobs need specific types of scissors which is why many hair stylists have several pair of scissors. You need to figure out which type of scissors fit you, short or long. You measure the length from the very tip of the blade to the end of the longest finger hole. You don’t count the finger rest when measuring it. For the perfect size, you place a pair of scissors on your palm with the finger hole touching the base of your thumb and the tip of the blade should be in the last section of your middle finger. When we talk about the blade of the scissors, the main blades are beveled edge and convex. How much money you can spend on it, how good you are with the scissors and what you like to use the most has a lot to say when it comes to choosing the blade. Most of hair cutting scissors reviews admit that as the beveled-edge blades are made from a mixture of metals are very lightweight. Most scissors from Europe come with micro serrations design on both blade. This design fits a new entry level hair stylist. When you want to cut slow detail or dry hair, they are also a good option. You can’t use it for slice cutting as you might jam the hair in the blade. You can use the polished beveled-edge blade for slicing or other cutting styles. The convex blades, aka “Japanese style” are the sharpest ones as they are hollow ground on the inside, giving you smooth cutting action. They are a bit more expensive and need a specialist sharpening, but proper care and constant servicing gives them a long life span. Hair scissors differ when we talk about the handles also and the perfect one is the one that fits your hand the best. The main types of handles are level or even handle, which are common and symmetrical. The offset handle means one handle is longer than the other so you have more open hand position and the arm and elbow are in lower positon when cutting. The crane handle looks a lot like the offset, but the top handle is very straight which allows lower elbow position. The market also gives you more sophisticated handles, like the twister or flex styles that minimize hand and arm tiredness. Even though many left-handed stylists get used to the regular scissors, the market also offers specially designed scissors for them also and the cutting is more natural, with no need for extra force. It’s always wise to use the correct scissor configuration for your dominant hand. High-end scissors come with steel blades, but there are other fabrics used, especially for the handles. Try to check the tension on your scissors by fully opening the scissors and then let the blade drop freely towards fully closed. In case of correct tension, it should stop nice and easy at the ten-to-the-hour position. If we talk about how often you need to sharpen your scissors, it’s good to know that this depends on how much you use them, what type of cutting you do, how you take care of it and the type of blade you are using. Some check the scissors every 3-6 months, whereas most do it once a year. What do you need for the scissors is the most important question when choosing one? If you do thinning, you would need thinning scissors, whereas for the slicing you would want convex blades. Most hair scissors review agree that no matter your final choice, all scissors need constant cleaning and oiling, daily if possible. Stay away from the clipper oil to lubricate your scissors and only use proper mineral-based scissor oil. And store the scissors in a nice, protective leather pouch for a longer life span. If you are looking for right-handed scissors, the Got Glamour Cobalt Molybdenum Right-Handed Hair Cutting Scissors are especially designed for this. The scissors are made of Cobalt Molybdenum so the blades remain sharp for long time. This type of blade is supposed to preserve its edge 5 times longer than a stainless steel. The scissors are made in our USA and not only the material is high quality, but also the workmanship is amazing. The leather case that comes along protects the scissors when not is use. The blade is finely honed and the scissors come with detachable finger rest, tension adjustment screw and rubber finger insert. The tension adjustment is smooth and easy to do. The right-handed offset grip keeps at distance tiredness in shoulders and wrists so you can cut a whole day without feeling any discomfort. The scissors feel comfortable in the hand and look very elegant. They remain nicely balanced on fingers and the thumb hole is large. Despite the minor cons, the scissors are still a good option when looking for right-handed use scissors. 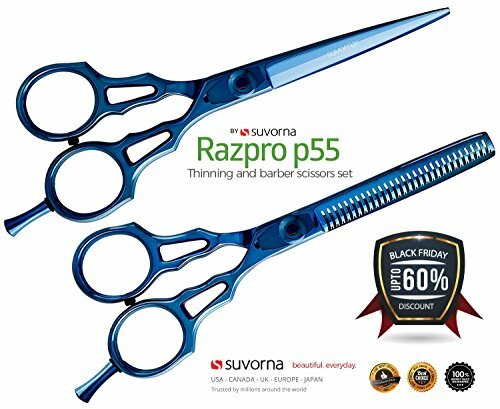 Giving professional performance, the Suvorna Professional Barber Blue Titanium Razor Edge Hair Cutting and Texturizing Scissors Set Razpro P55 may be also used at home. The set contains one cutting and one thinning scissors and they are both made of high quality Japanese J2 stainless steel. The scissors are coated with blue titanium for a longer life span, but also for a more attractive appearance. The blade is a razor edge convex hollow ground type and is made of high grade steel for better edge retention. The thinning scissor has an accurate CNC cut 27 tooth thinner blade. The scissors have a comfortable design and feature removable finger rest and rubber finger inserts. The cut is precise and the scissors are useful for trimming and layering. The scissors feel lightweight and are very sharp. They come in a protective case for expanding their life span. All in all, the scissors are long lasting, sharp and comfortable to use in a hair salon and also at home. The Centrix 700 Roc It Dog Single Hair Shear provide easy, continuous cutting every time. The scissors have an offset grip that ensures a relaxed “open hand” grip for minimum stress and better cutting speed. The tension knob/tension screw expands the life of the blade. The adjustment is easy and smooth so that you can have an easy cut every time. The scissors are versatile and may be used for slide cutting, channel cutting and chip cutting just as well. The design of the scissors provides easy, effortless use with minimum tiredness. The scissors are long lasting and work great. They have a great length and give a good grip. The weight is just right and the cutting is always efficient. Despite the cons, the scissors are a long lasting, well performant pair of scissors. The convex edge of the Joewell TT 5.25″ Shear / Scissor Combo Free Thinner ensures smooth, easy cutting for a very long time. The scissors are made of Japanese stainless steel and feature also a 40 teeth thinner. The scissors are made to last and come with a Lifetime Warranty. The offset handle features a reflective liquid silver finish. Not only the scissors have a good build, but they are also look very nice. The high quality stainless steel means the scissors are durable and ready to take the heavy use. The convex blade makes consistent cuts. The flat screw system lets you find the right tension. The adjustment runs smooth and easy. The grip is good and comfortable. 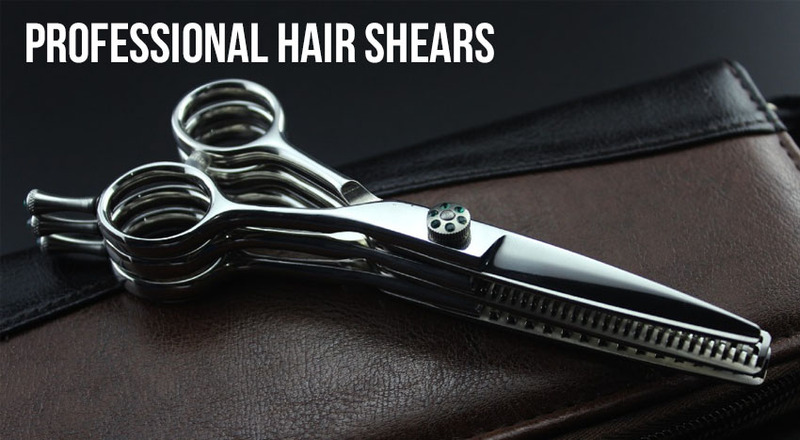 There is minimum tiredness when using the shears and they sit comfortably in your hand. Apart from the price, we have no cons. As they are meant to last forever, consider them to be a good investment of your money. if you want to have no worries when cutting on various types of hair, different styles, the Kamisori K2055 Professional Hair Shears is a great tool to have. The scissors are made of high-quality Cobalt steel and are built to last. They are made for the extreme use, especially in a professional hair salon. The crane handle gives a one-of-a-kind grip. The scissors sit nicely and comfortable in your hand all the time. The scissors are built so that you can blunt, glide, wet or dry hair, all kinds of cutting techniques. They remain sharpen for very long time. The tension is easy to adjust, by hand, with no need for tools. The scissors cut smooth and easy. They come in an elegant, protective case. Apart from the price, there are no cons on our part. Made to last forever, in so many situations, the scissors are a great tool to have. The set ZZZRT ZT-4444 Multi Color Japanese J2 Stainless Steel Pro Razor contains hairdressing scissors, hair thinning scissors and hair thinning razor coating that keeps rust away from scissors. They all come in a black pouch that expands their life and protects them when not in use. The adjustable tension screw lets you get the tension you like on the scissors. The adjustment is easy and smooth. The scissors are high quality and the craftsmanship is great. The grip is comfortable and the scissors sit nicely in the hand. The extra anti-slip strips on outside finger grip ensure a steady grip. The scissors are a good choice for texturize, blend and layer hair. They are sharp and remain so for a long time. The tips are lightweight and the scissors are easy to use. As they perform well, are sharp and comfortable to use, the scissors make a good choice when you don’t want the cheapest thing out there. When your budget is tight but still want and need a reliable, sharp, easy to use pair of scissors, the Professional Barber Hair Cutting Scissors / Shear is a good option to consider. The scissors are made of J2 stainless steel which means high quality and longer life span at the same time. The scissors are 6 ½ inch long and the cutting blades are 2 ½ inch. They come in a zippered leather storage case which protects them from accidents and the elements. The rubber finger inserts that fit any thumb and finger are a nice and useful feature. The tension is adjustable and adjusting run nice and easy. The scissors are sharp and very easy to use. The tiny serrations on the edge of the blade are functional and the surfaces are nicely polished. The scissors give a clean cut and feel lightweight. We also need to mention the scissors feel comfortable in the hand and look very nice. All in all, for the little money you pay, you get reliable, easy to use and sharp pair of scissors. Sturdy and comfortable to use, the Rubis Switzerland Ear/Nose Hair Scissors R1KF003 are a good option when you want to take care of the nose hair. The scissors are made of high quality stainless steel and have a special design. The blade is bent so the risk for any accidents is minimum. The safety tip provides secure cutting when using it on ear/nose hair, without nipping the skin. The scissors have large, comfortable finger openings so large hands shouldn’t have any problems when using the scissors. The scissors are very well made and are long lasting. They have a heavy and sturdy build. They are small in width and length and easy to use. The blade is not thick, but efficient to get in the tight areas. For having it around for longer time, the scissors come in a plexi-glass packaging. Despite the minor issues, the scissors are a well-made, sharp and secure option to use for the nose hair. It seems that many brands out there have figured out what counts the most when it comes to high quality scissors. Some do it better than others and somehow, most of these brands come from the traditional Japan. For instance, SAKI Shears creates many high performant models that not only bring the high quality of the materials, but also great performance, for so many situations. One of the most popular scissors from Saki is the Saki Katana Japanese Hair Thinning Scissors. The scissors are handmade and feature black Titanium coating that makes them durable and ready to take the heavy use. The ring size is adjustable and the scissors are two-piece welded. The crane shape handle is long and comfortable to hold. The ball-bearing screw makes each cutting run smooth and easy. The sword back blades are thick and short and ensure soft cutting. The scissors feature also a see-through screw-in silencer. The blades are triple-honed and hollow-ground, giving precise cutting every time. Jaguar Shears is another great brand when it comes to hair scissors. One of the many high performant scissors is the Jaguar Diamond Shears. The scissors are part of the Gold Line collection and are made with premium steel with Friodur Ice tempering process for long lasting sharpness. The high-end blade shape is efficient and the new Jaguar Smart Spin screw system is reliable for a smooth, accurate cutting every time. The cutting edges are full integrated and the cutting edge angle is high. The blades have hollow grinding and DC-honing and they remain sharp for long time. They give the most accurate cuts, all the time. The symmetrical position of the two finger rings ensures a great comfort when cutting. When it comes to hair scissors, there’s nobody doing it better than the Japanese so this is why some of the best hair scissors are made by the Japanese. The Saki Katana Japanese Hair Scissors Set is handmade and build with Japanese stainless steel and feature a thick coating of black titanium. They are long lasting and ready to take the heavy use. The scissors have a convex edge and triple-honed, stainless steel blade for accurate and smooth cutting. The offset extra-long crane handle keeps at distance tiredness and ensures comfortable use. the scissors are great for blunt, wet and dry cutting. The ring size is adjustable for a perfect fit on your fingers. They are two-piece welded and a ball-bearing screw. The titanium coating makes them long lasting, whereas the blade is hardened with 60-61 HRC. The scissors are durable, sharp and reliable in many situations. Apart from the price, there are no cons to mention. As they are handmade with high quality materials, the scissors provide amazing performance in so many situations, for many years. For the home use, a reliable and sharp option is the Suvorna 5.5″ Precision Razor Edge Japanese Stainless Steel. The convex razor edge and hollow ground blades give accurate cutting with no risk for bending or pushing the hair. The Multi Color Titanium coated tension adjustment knurled knob has backing plate for better setting of the tension. The ergonomic design is well thought out and the matching Titanium finger rest is removable. The scissors come also with rubber ringer inserts. The scissors are sharp and efficient. The 29 teeth CNC wire cut thinning scissors provide also accurate and smooth cutting. The scissors are drop forged from a single piece of Japanese J2 420 stainless steel. the steel has heat treatment and is tough for a long time. The scissors are Mirror finishes by hand and the multi-color titanium coating gives a nice look also. The scissors are versatile and may be used for texturing and blending hair. They have a good size for any woman’s hand and feel comfortable in the hands. They come in a nice carrying case that is small enough for travelling with. All in all, for the money you pay, you get some reliable, long lasting scissors for home use. There are many scissors out there that manage the heavy duty jobs from a professional hair cutting, but the Kamisori Sf-1 Double Dragon Professional Hair Shears bring not only high performance, but also durability and versatility. The scissors have an ambidextrous design and are easy and comfortable to use no matter your dominant hand. The scissors feature dual finger rests and a mirror handle that is also reversible. This is why the scissors are easy to use no matter your dominant hand. The scissors are carefully handcrafted and there are separate molds for the handle and blade that are welded together. The scissors are high quality made and long lasting at the same time. The scissors are made of premium V-10 cobalt alloy steel with a hardness of 59-62 which is great for fast-paced cutting. They make a perfect option for the softer cuts, for the advanced slice and slide. The scissors are lightweight, with ergonomic design and are perfectly balanced. The handle has a classic design and the blades are sharp. As they are for professional use, some may consider the scissors to be high-priced. 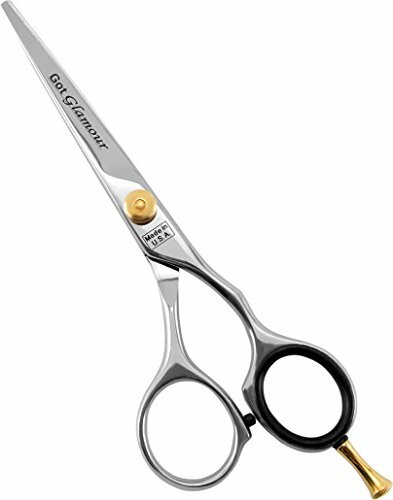 But, for the quality and high performance they bring, the scissors are a great investment for any hair stylist. 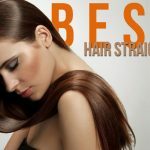 There are different techniques when you want to get rid of the split ends and either you do it at home, or go to a professional, some scissors may work better for you, despite the reviews. The Jaguar Satin Professional Hair Cutting Scissors / Shears might be a good option when you also work on your split ends. The 46 thinning teeth feature fine V-teeth serration for a nice, smooth feeling and an accurate cut every time. The scissors have a classic design, but the build and the craftsmanship are amazing and give a long lasting pair of scissors. The scissors are made of forged high-quality steel that got through ice-tempering process at -80 C degrees for more toughness. The blade is sharp and accurate and the Vario screw gives easy, great cutting action. You simply use a coin to adjust the Vario screw. The flat cutting edge angle gives high sharpness to the scissors. The hollow grinding and honing make the scissors right for slice cutting. The scissors feel comfortable in the hand and have just the right weight. The ring holes have a good size and the tension adjustment is reliable. As for the cons, we only mention the scissors have only one finger rest. Either than this, they bring great performance and are a reliable tool to get. High quality and razor sharp, the Equinox Professional Razor Edge Series are especially designed for thinning your hair. The scissors are made of high quality Japanese stainless steel and come with accurate blades. The cutting edges are hand-sharpened so you can easily trim the hair evenly. The design is highly ergonomic and the scissors are a great option for both professionals and home users just as well. The easy grip handle lets the scissors cradle fingers. The thumb and finger inserts are removable. The scissors are 6.5inches long and are safe to use by adults and children all the same. The scissors run smooth and easy and leave no messy hair clutters. The golden painted tension looks nice and is functional. The adjustment screw is sensitive and sturdy, yet easy to find the proper tension for the scissors. The scissors come in a special, protective case. The little rubber stopper when closing the scissors is useful and a nice feature also. 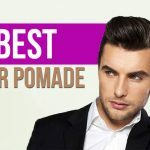 Despite the minor issues, the scissors are still a high-quality, sharp, reliable and great pair of scissors for thinning and other hair cuttings also. For taking care of your facial hair, a good, reliable and sharp option is the Bonika Fishbone Shear. The scissors are fishbone razorback type and expose the cutting edge of the blade when the shear is closed so that the shear performs like a razor for slithering and fringing around the face. The scissors are not as aggressive as a razor but are able to make soft textures. The soft curving blades on the open shear gives more movement when slicing and point cutting. The scissors are made of Japanese cobalt alloy steel ATS314 that is fully forged. This translates into long lasting, tough scissors for long time. The ergonomic butterfly bent thumb hole and the cozy fixed finger rest bring great comfort when using the scissors. 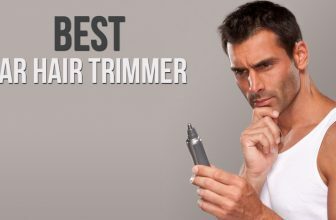 The sword edge type is reliable and the 60-degree angle is efficient for cutting the facial hair. The special design screw lets the blade lay closer so the risk for the hair snags is minimum. The scissors sit on the high-end price, which is the main con. 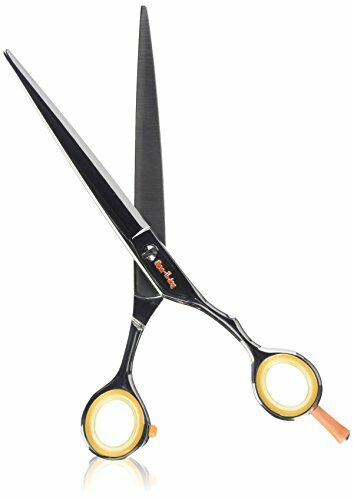 When it comes to the high performance, durability and smooth cutting the scissors are a sure buy. As Japanese have found the secret key to always create the very best hair scissors, choosing only one to present is a bit challenging, the say the least. The Kamisori Dm-3 Smoke Professional Hair Shears is designed for fast-paced cutting and sophisticated techniques, which makes is perfect for any hair stylist when looking for wet and dry cutting sheer. The ergonomic offset handle lets you lower your elbow and shoulder for a cozier hair cutting position. The blade is sharp, long and great for cutting over the knuckle with soft, precise cuts. The scissors are made with the high quality Damascus steel and are meant to last forever. They have Rockwell steel hardness of 64 and feature an extreme edge which is great for any creative hair stylist. 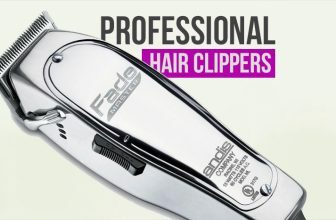 You can use them for point and blunt cutting on wet or dry hair, with minimum tiredness even in case of long sessions. The scissors are very lightweight and perfectly balanced so they keep at distance wrist stress, hand tiredness and carpel tunnel syndrome just as well. The ring size is adjustable and has soft ring inserts. Apart from the high price, there are no con and the handmade scissors bring high performance for a very long time. With a high-end design and amazing performance, the Harutake 6.0 7.0 Professional Hair Cutting Scissors Shears Barber Thinning Set comes as a reliable option for natural hair cutting. All scissors are handmade of high quality Japanese 440C stainless steel, which means they are ready to take the heavy use, for a very long time. The adjustable knob to set the right tension on the scissors is not only easy and runs smooth, but also hidden. You can avoid hair Jam by knob. The blade is made from high grade steel and is very sharp and the improved edge retention is functional. The scissors are handmade in Japan, which translates in longer life span and higher performance. They are razor sharp and very well balanced. The blades are convex and triple-honed. The design provides finger rest, which minimizes stress shoulder and wrist tiredness just as well. The scissors are made so that you can cut smooth and evenly with minimum discomfort for the hands and fingers. When you want the very best for your hair, you need to be ready to pay the extra buck, like in this case. 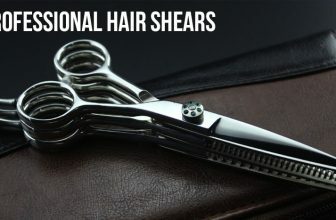 Handmade by Japanese professionals, the scissors are a great tool to have when cutting your hair.